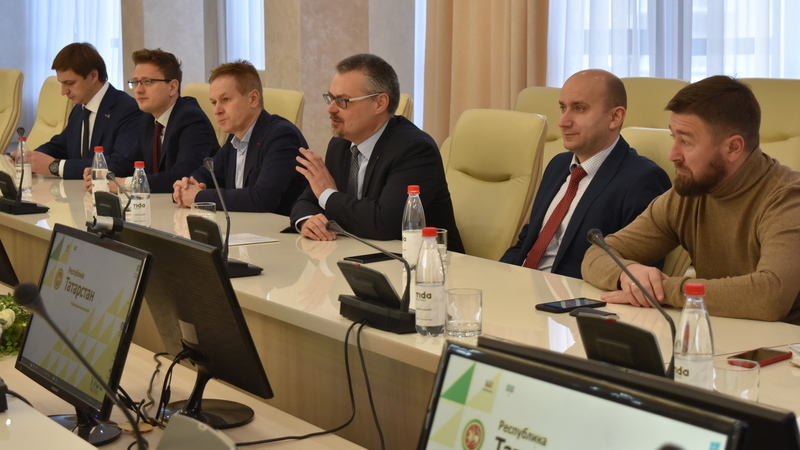 Representatives of the Embassy of Poland in Moscow, Polish Business Club in Moscow and Polish companies visited the Republic of Tatarstan with a business mission. In the frames of the visit to Tatarstan Investment Development Agency the guests got acquainted with the economy and the investment benefits of Tatarstan, directly on the SEZ "Alabuga" studied all its possibilities, and also held B2B meetings. "Tatarstan is an interesting region with attractive tax and customs preferences. There are many international and local regional companies to discuss long-term mutually benefiting cooperation. We have a similar language and culture, which certainly has a positive effect on mutual understanding", - the Adviser, head of ecvonomic Department of Embassy of Poland in Moscow Andrzej Karpiuk noted. "Trade and economic relations between Tatarstan and Poland have a great potential for development. The trade turnover between Poland and the Republic of Tatarstan in 2017 amounted to 2,12 billion dollars. Export from Tatarstan to Poland - 2,07 billion dollars (mainly mineral fuel for 1,9 billion dollars, rubbers and products for 133 million dollars). Following the meeting, we hope to implement a number of joint projects and reach new economic results", - the Head of Tatarstan Development Agency Taliya Minullina shared. The Embassy looks carefully at the statistical data of investment attractiveness of the regions and sites. The recognition of "Alabuga" to be the best SEZ in Russia and traditional entry into the world ranking of the best SEZs contributed to the interest of the Polish State. "Polish Business Club is often attended by the representatives of Polish companies, looking for partners in different forms of business cooperation. Business missions give us good arguments for companies that plan to enter the Russian market as an investor or supplier of goods", - the Head of Polish Business Club attached to the Embassy of Poland in Moscow Alexander Janeczek reported. The shortest way to Western Europe goes through Poland. According to the representatives of the Polish delegation, the country is also interested in importing goods from other countries. The activity of the Meeting of the working group on trade investments is planned to be resumed. The final event of the Polish business mission was the presentation of interested Polish companies, establishing contacts and building options for cooperation with representatives of Tatarstan’s agencies and the republican business community.